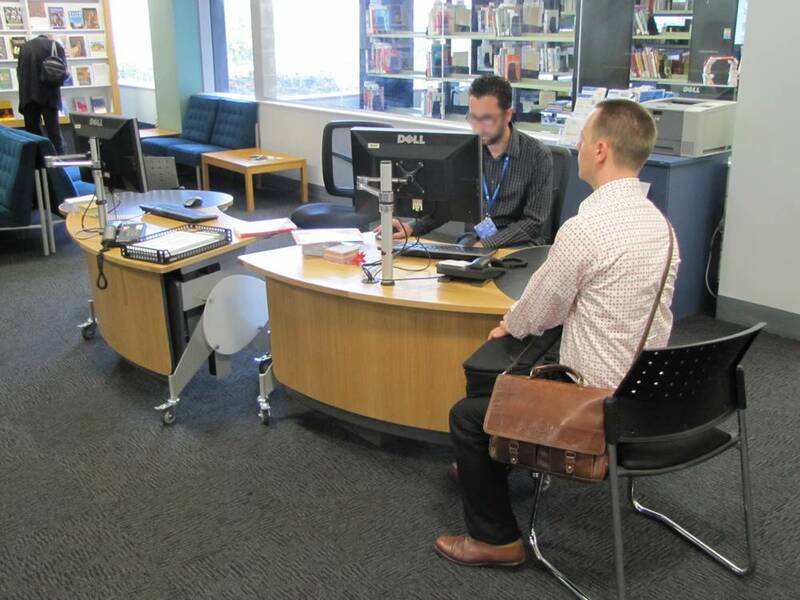 As part of a wider front of house upgrade at The University of Auckland General Library, Instinct Furniture was invited to offer planning and design options for circulation furniture. 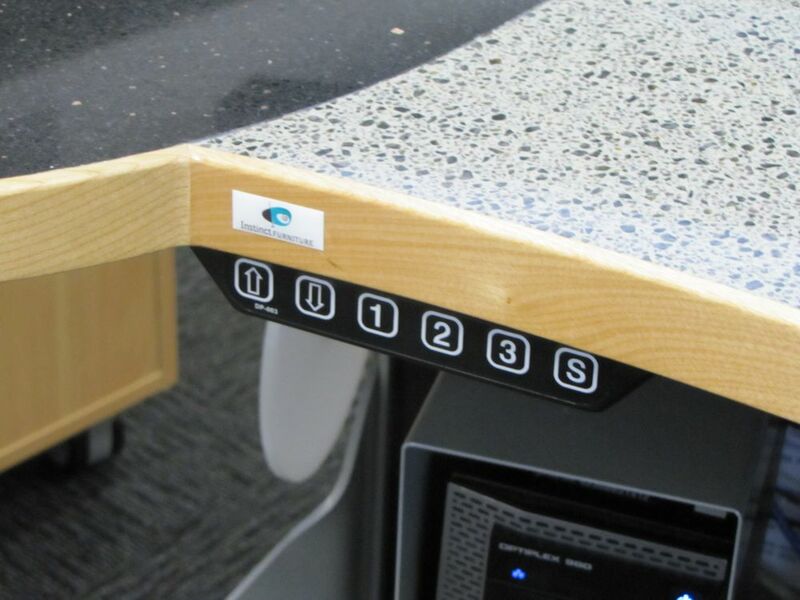 Instinct had originally designed the existing counter installation, utilising the then state of the art BOOKFLO height adjustable counters. 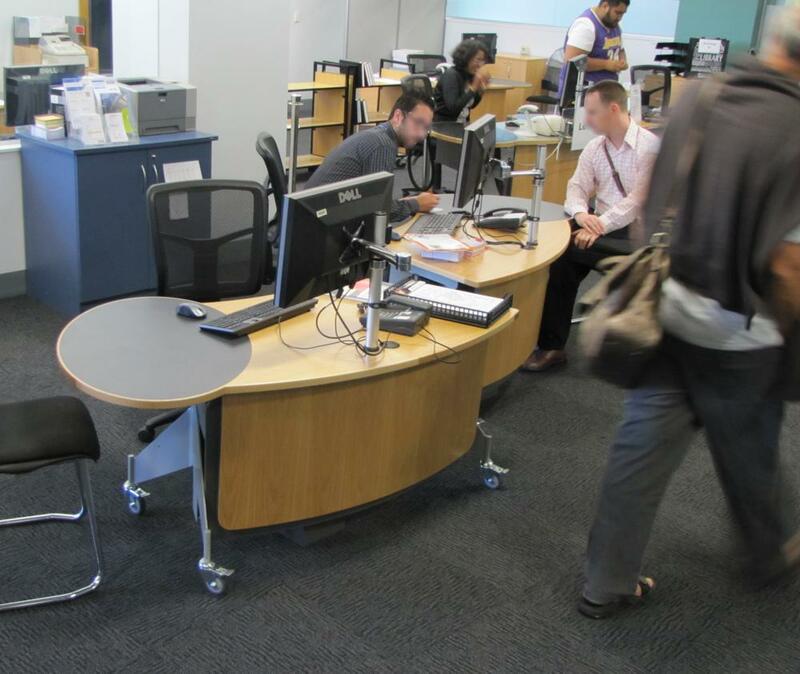 The installation had served the University well, however in keeping with the latest tertiary library trends, the library executive now wished to move to a more open and collaborative environment. Paul White, our Director of Design, worked with John Garraway: Assistant University Librarian, and Elizabeth McKenzie: Lending, Interloan and Enquiries Services Manager, to plan a front of house design that supported the working requirements of staff and encouraged an enhanced customer interaction. 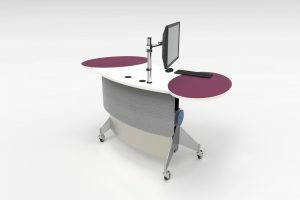 GLO’s meeting ovals provide a place for staff to work naturally alongside the customer, either sitting or standing. 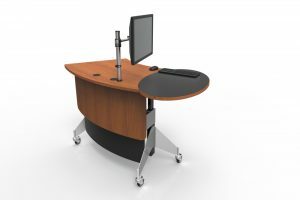 The double oval design on the GLO 2000 provides all these benefits along with a larger work surface supporting high volume book issue. 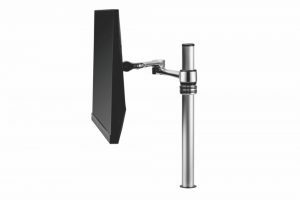 Supporting safe work practice, GLO allows staff to adjust the worktop height from seated to standing at the touch of a button – short or tall staff, busy periods or quiet, and special needs (like customers in wheel chairs), GLO enables staff to personalise their workplace and respond to the demands of the day. 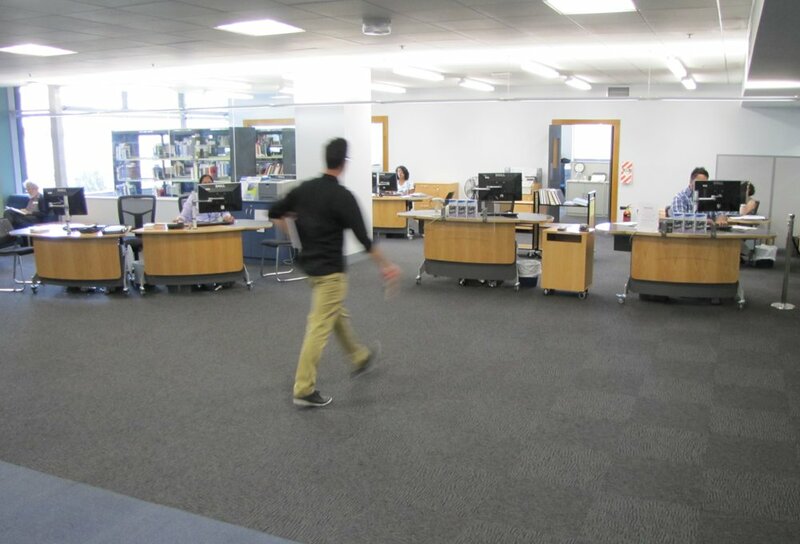 “At the beginning of semester, we were able to move one of the enquiry desks closer to the library entrance to deal with the large influx of new students and provide quick answers for basic questions. 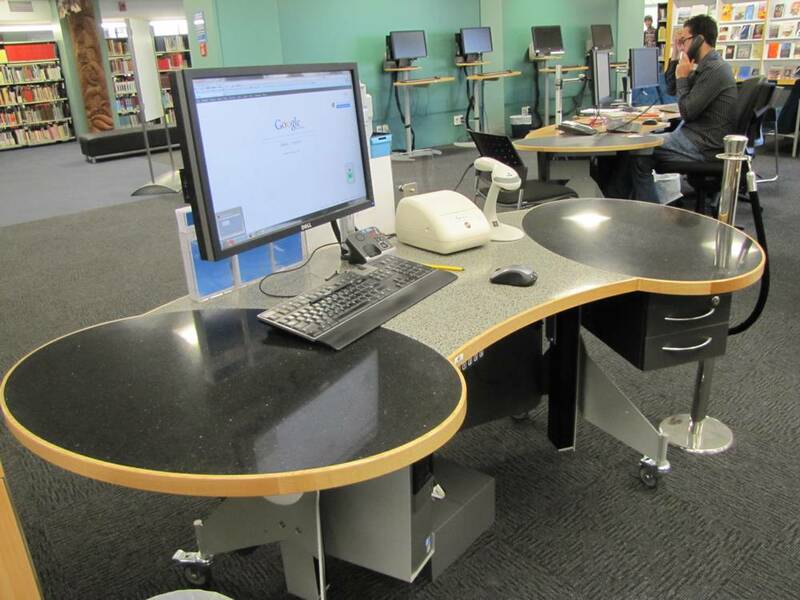 The new furniture has helped to transform the area into one that is much better in meeting our current needs”, said Elizabeth.